Many scientists are taking 3D bioprinting to the next level by creating medical devices that are unlikely to be conceived 10 or 20 years ago. In a research led by Dr. Michael C. McAlpine from Princeton University, they have developed a 3D bioprinter that is capable of creating a five-layered contact lens that can display information and, at the same time, detect different health problems of the wearer. Funded by the United States Air Force, this particular contact lens can help equip pilots monitor their in-flight well-being particularly their exhaustion levels. The best thing about this particular invention is that it can be customized depending on the need of the user. While 3D bioprinting has been limited to materials like passive conductors and plastics, the new contact lens was made from various materials that have been integrated into different components of the device. This means that each layer of the contact lens come with active properties that help read the vital signs of the wearer. 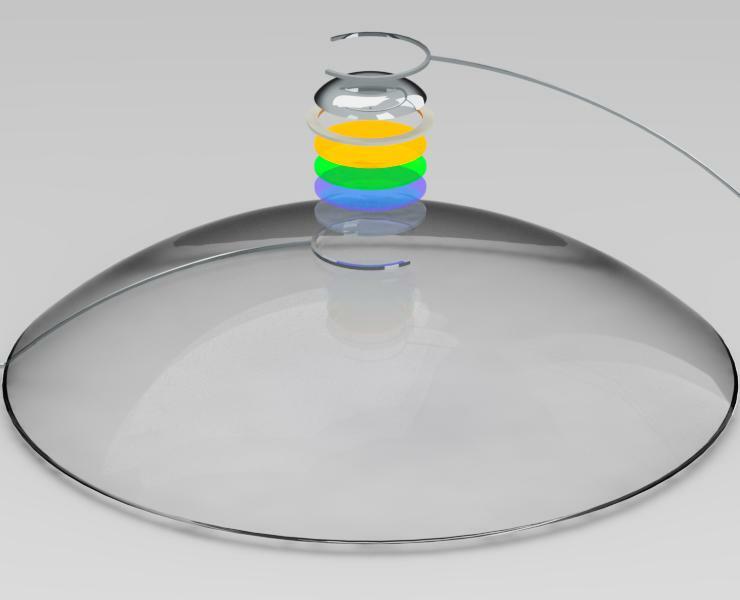 The new contact lens is made from a transparent polymer that is embedded with sundry components which include a quantum dot light that emits nanoparticles, solid and liquid metal leads as well as organic polymers. The contact lens conforms to the needs of its wearers. According to Dr. McAlpine, the use of 3D printing in creating this particular device makes it possible to create contact lenses that will match the contours of the user’s eyes. Although this particular device is promising, it is still under development and news about its availability in the market is still undisclosed. However, researchers are very optimistic about the different kinds of devices that can be made possible with 3D bioprinting.